Amazon on Monday celebrated the launch of its new Amazon Coins by giving tens of millions of dollars of the virtual currency to Kindle Fire users as part of its latest bit to attract customers to its own Kindle platform, and away from incumbents like Apple's iOS and Google's Android. The online retail giant launched its new currency with a promotion that will see all Kindle Fire owners gifted with 500 Coins, a $5 value. 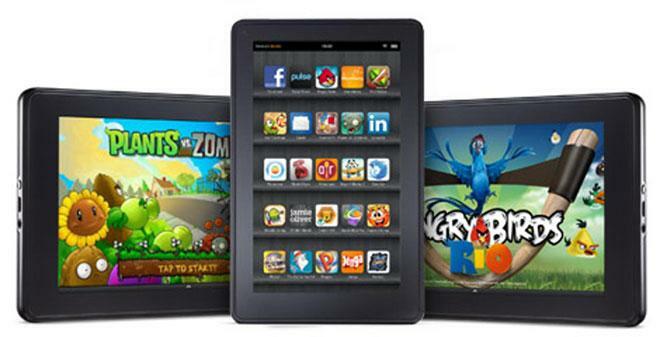 The coins can be used to purchase apps and in-app items on the Kindle Fire (review). Amazon will also give up to a 10 percent discount to customers buying Coins in bulk, the online retailer said. The virtual currency is aimed at increasing the number of apps Kindle Fire owners buy, putting more money into the hands of developers for the platform and thereby attracting new talent to its platform. Amazon operates its own Appstore and competes directly with both Google and Apple for app, music, video, and book sales. Revenue sharing on apps and in-app purchases will operate in the same manner it did before Coins. Developers will get a 70 percent cut of the revenue with Coins. Amazon Vice President of Apps and Games, Mike George, says that the new currency is only the beginning. "We will continue to add more ways to earn and spend Coins on a wider range of content and activities," George said. "Today is Day One for Coins." Amazon takes a different track with its Kindle devices than does Apple with its iPad. Whereas the iPad is sold at a premium price point, Amazon sells its Kindle Fire devices roughly at cost, maintaining a lower cost of entry with the hope of making back the money when customers buy apps, music, and books. The online retailer does not disclose how many individual Kindle Fire units it has sold, but it maintains that the device is consistently the most popular item on Amazon.com, which itself is one of the most popular sites on the Internet. Prior to introducing the most recent Kindle Fire iterations, Amazon announced that the Kindle Fire accounted for one out of every five tablets sold in the United States. A recent report from Asymco analyst Horace Dediu found that quarterly revenues for Apple's iTunes hit $4 billion, giving the company a $16 billion annual run rate for iTunes. iOS device users, according to Dediu, purchase content on Apple's store at a rate of about $40 per year.